is an albumen print (approx. 3”x 3”), showing Duchy Palace, Lostwithiel. which produce a three-dimensional image) this crudely trimmed print, available to view in the museum, was “Photographed by White and Hawken, Lostwithiel”. There are no photographers listed in Cornwall during this period with the surname White. It is believed likely he was Richard White, printer, stationer and bookseller of Queen Street, who was baptised in Lostwithiel on 30 August 1807. His involvement in the actual photographic aspects of production is uncertain. It is probable that being an established businessman with his Queen Street premises, White was in the perfect position to help Hawken. Thomas Edward Hawken was born at Tangier (then in Lanlivery parish, now Castle Hill, Lostwithiel) in 1836. Hawken was, by trade, a watchmaker and jeweller, professions that, as frequently found at this time, led him into photography. 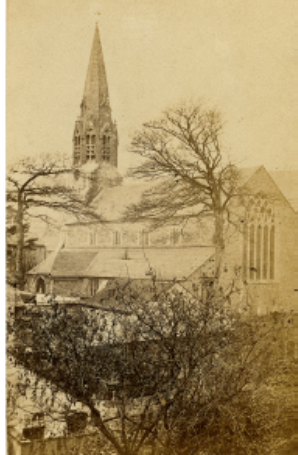 The 1861 census finds him listed as a watchmaker and lodging in St Austell, which would have brought him into contact with fellow jeweller/watchmaker/ photographer William Michell, St Austell’s first long established photographer. Thomas Edward Hawken continued to run the Queen Street Studio after the death of Richard White in 1866. 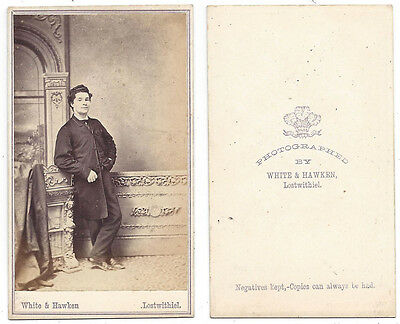 Hawken’s output mainly consists of carte-de-visite portraits and family groups with occasional topographic views, taken from the mid-1860s until his death in 1877. As with many early professionals, photography was not Hawken’s main source of income, understandably so, given the relatively small population of Lostwithiel and the numerous photographers in the nearby larger towns of Bodmin and St Austell. a photographer in the 1871 census at his King Street address. with a hand written date of 5 January 1872. (although this could be a collector’s date). “At Lostwithiel on the 15th inst., after a long and painful illness, Thomas Edward, only son of Richard Hawken of that place, aged 40 years”. Thomas’ death certificate gives “nervous exhaustion” as the cause of death and records his occupation as Jeweller (Master). commissioned by Frances M. Hext to illustrate her book “Memorials of Lostwithiel and Restormel” (published privately in 1891). 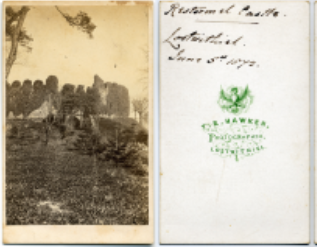 By 1906 Kelly’s Directory lists Hawken as a “Private Resident” living at “Pen-Uchel”; the studio at 14 Queen Street was then in the hands of Lostwithiel’s next resident photographer William Allen. 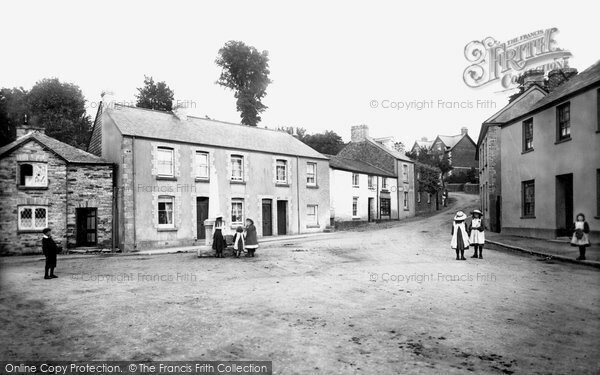 Lostwithiel, Bridgend 1906 from The Francis Frith Collection. Francis Frith (1822–1898) was a Victorian topographical photographer who ran a large photographic business. He set up his business in 1860 and specialised in producing prints of British beauty spots and other tourist views. (including images from their extensive back catalogue) during the huge postcard boom of the Edwardian era. Lostwithiel was well served in this respect, with numerous atmospheric street scenes produced both lithographically (often hand tinted) and photographically. The photographic collection at the Cornwall Centre in Redruth holds original full plate albumen prints from the Francis Frith Collection. 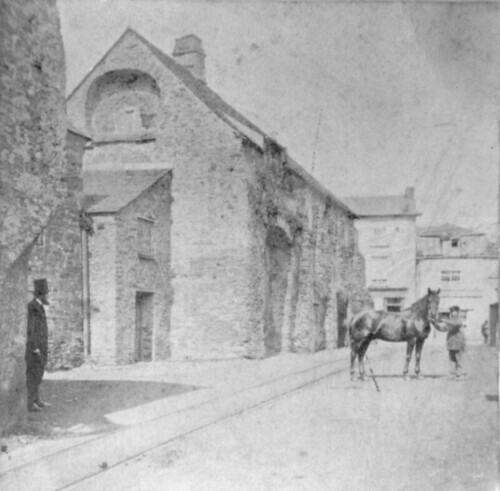 Dating from 1891, there are many high quality images of Lostwithiel. Over 120 of these may be viewed on The Francis Frith Website.